! It has many, many uses! While I do use the My Brest Friend for the majority of our nursing sessions, the Boppy is essential for travel. It is way cuter and far easier to carry around. I have taken it on several trips back east and it is perfect for the airplane and the time you are away from your Brest Friend. Simon loves to sleep on it en route and it is comfy on my or my husbands lap. Funny story, we were walking down the aisle on the plane and a man exclaimed, “That’s the biggest neck pillow I’ve ever seen!” Ha! I didn’t know how to tell him it wasn’t a neck pillow. The Boppy is also great for early tummy time and assists in helping baby learn to crawl by propping his belly up. Simon also likes to sit propped up in it and look at books or play with his toys. It provides support when baby can’t sit up completely on his/her own. 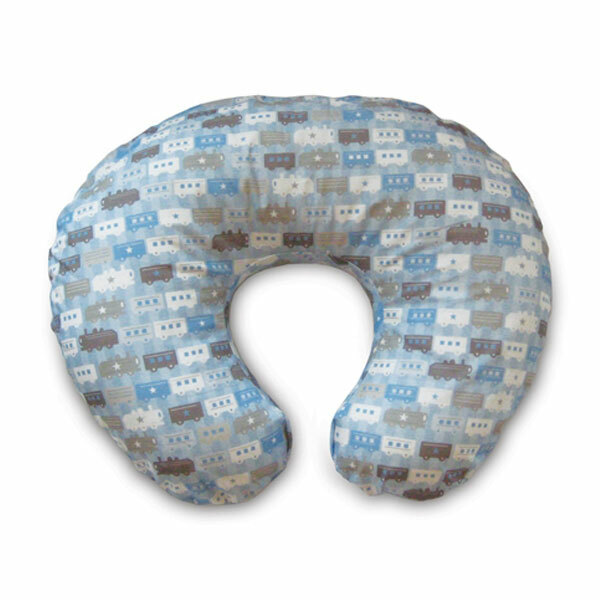 It also makes for a comfortable, cushy pillow for mommy or daddy’s overtired head. So, parents of wee ones and mommies and daddies to be, you may just find that the Boppy is, well, your brest, eh hem, I mean best friend! OMG OBSESSED! Available at Target and Babies R US. Prices vary.